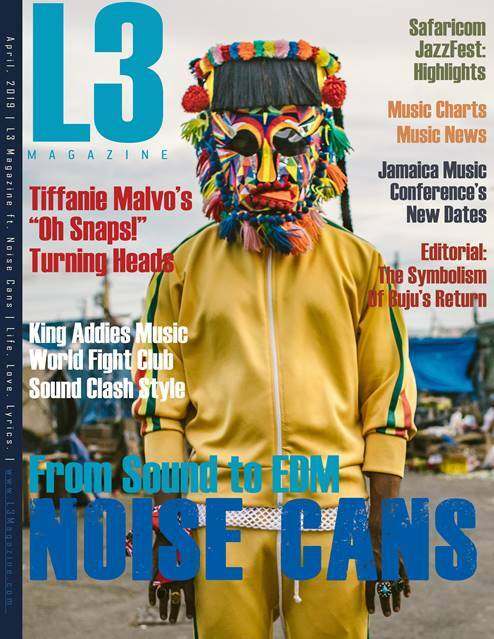 L3 Magazine, North America’s #1 Caribbean-Urban publication is making serious noise with the feature of internationally famed EDM DJ, Noise Cans on the front cover of the April, 2019 edition. Interviewed by staff writer Pia Jordine, Noise Cans, signed to Steve Aoki’s Dim Mak Records, shared his insights on playing music for massive crowds, and producing music for those same crowds to enjoy. Taking the conversation a step further, Noise Cans explains how and why Sounds such as Stone Love, King Addies and Bodyguard shaped his approach towards performing. Many wonder why the DJ wears distinctive masks and the answer comes by way of an exploration of African and Bermudan history. Additional features this month includes Canadian powerhouse Tiffanie Malvo, Kenya’s incredible Safaricom Jazz Festival, a change in date for the Jamaica Music Conference, and a symbolic look at Buju’s Long Walk to Freedom Concert in Jamaica. Editor-in-Chief Natasha Von Castle goes beyond the physical to highlight spiritual symbolism; clothing, opening acts and fans have significance. 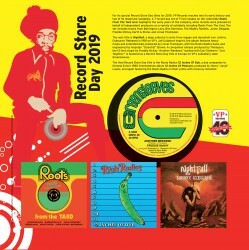 Charts, music reviews and more await readers at L3Magazine.com. This is L3’s 60th edition!